When the first time I opened the packaging, I was surprised about how light is this gel sleeping pack. It almost like use nothing on my skin. The scents also very relaxing and help me to calm my mind while I'm using this mask. 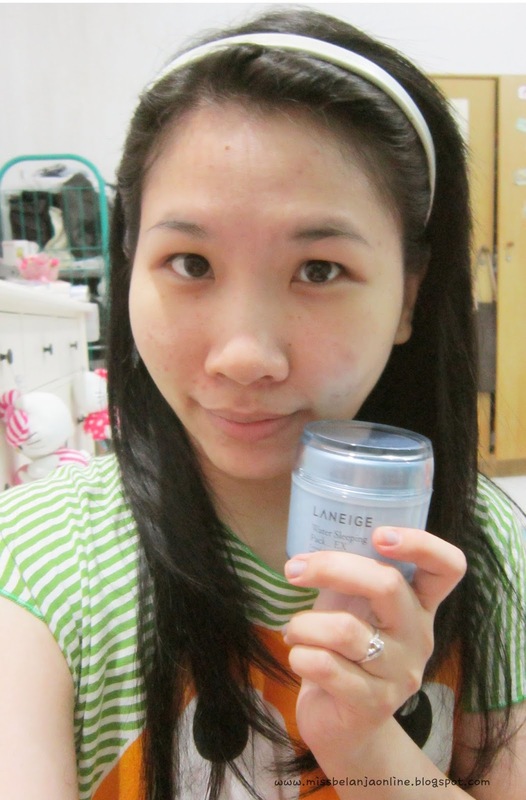 I use quite thick layer on my skin at night before I go to sleep. Usually the scent will left for 15-20 minutes before completely gone. Along with the faded scent, the gel also completely absorb on my skin and left my skin moisturized. Also, I really love to use this mask when I was tired, the cool sensation is like a hit to my tired face. Like massaging an ice block on my face brrr [Thinking of going on a holiday? You maybe want to bring this baby with you. Imagine after a long day travelling all over the place, you will get a cool sensation from this mask and moisturizing effect for your skin to continue the journey tomorrow]. Another love from me is when I wake up in the morning, usually my skin tends to be super oily, but when I used this mask, my skin completely become normal in the morning. Not oily but also not dry, I can also feel my skin become more supple and moisturized. PS: My sis, who have dry skin stated that she loveee this sleeping pack so much. She can feels that her skin become brighter and fresh in the morning after use this mask. Yay! I must admit that I was hesitant to try Laneige product at first, even though I'm such a big fan of korean products, I never have any laneige product before. Because I think their price is quite expensive. But I think I must change my mind about Laneige. This product (and also their BB Cushion) is worth to try!